Framed: Although the enemy framed you, God is about to turn that around and frame your future with joy. Though you may have felt framed by the enemy for a life of confinement and closed prison doors, the Lord is about to change that! I saw those who have been imprisoned and framed by the enemy being released from his prison and their sentence being overturned.The Lord has been behind the scenes working on an escape plan for your freedom and release. He has taken up your case in the courts of heaven and the ruling has come in your favor. Prison doors are about to open and you are about to move into a wide and open space that surrounds you with beauty and joy. Where you have felt surrounded by walls in a confined space, you are about to see the walls fall down and find yourself in a place with no walls. Your solitary confinement is ending! The walls of your confinement are disappearing and light, life, joy and fresh air are about to be enjoyed once again. Then I saw a different kind of framing. God was framing a portrait of a couple and then of a family. The people in these portraits were full of joy and life. I knew that these portraits were prophetic pictures of His restoration of families, couples and relationships. They were all outdoor portraits in beautiful, open settings that spoke of the freedom and “breath of fresh air” that they were about to move into. In both portraits the sun was shining directly on the people. Light was upon their heads and upon their shoulders. This spoke to me of a light load for these ones to live in. The expressions of joy were tangible and full of delight. A portrait represents a time to be remembered, a moment that has already been fulfilled and lived. 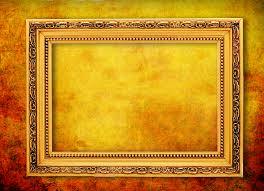 God was framing these portraits as a promise that this will be fulfilled and lived, it has been secured in heaven and will be fulfilled on earth. . This entry was tagged breakthrough, Deliverance, faith, Hope, Prophesy. Bookmark the permalink.